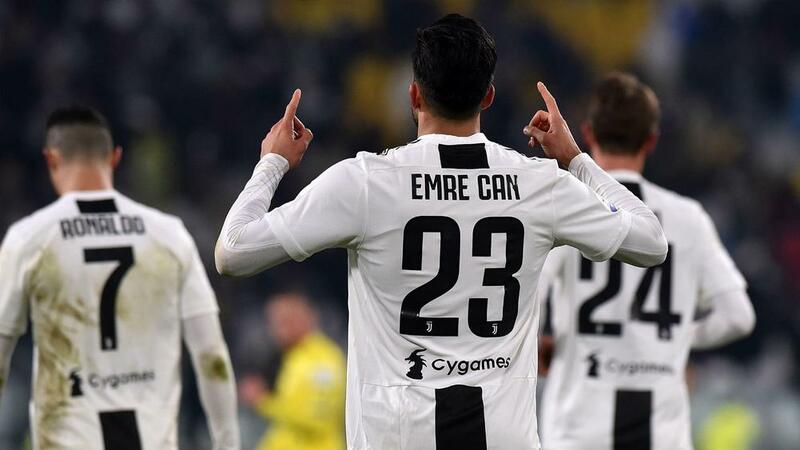 Douglas Costa, Emre Can and Daniele Rugani all scored their first goals of the season as Juventus eased to a 3-0 Serie A win over struggling Chievo on Monday, despite Cristiano Ronaldo having a penalty saved. Massimiliano Allegri's men were comfortable throughout in Turin and kept their healthy nine-point lead at the Serie A summit following Napoli's win over Lazio, though things would have been even more comfortable had Ronaldo been accurate from the spot. Although the visitors started positively, Juve still managed to take an early lead in style through Costa, before Can made it 2-0 late in the half – the Germany international scoring for the first time since joining from Liverpool. Juve face a potentially tricky trip to the capital to face Lazio on Sunday, while Chievo host Fiorentina a few hours earlier.